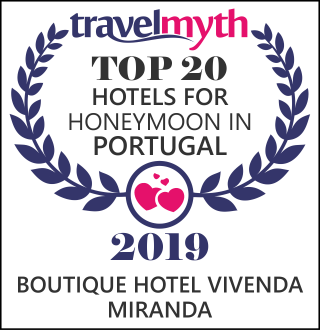 Boutique Hotel Vivenda Miranda is a beautiful small hotel perched atop the scenic coastline of Lagos in the West Algarve. With 24 individually decorated rooms and suites, a Neal's Yard Remedies spa and a fine dining and artisan gastronomy restaurant onsite, Vivenda Miranda is a unique getaway experience that offers stylish comfort in stunningly gorgeous natural surroundings. Each of our rooms are beautifully decorated taking inspiration from either traditional Portuguese or contemporary bohemian chic design. Both exude comfort and luxury appealing to differing tastes and style. Enjoying stunning panoramic views over the Atlantic Ocean, the Restaurant Mirandus uses only the freshest of local and seasonal ingredients to create nutritious plant based menus created around healthy Mediterranean fare. Artisan Gastronomy brings culinary skills and traditions to the art of creating beautiful dishes from seasonal, local, authentic and wild foods – as nature intended. Our spa is Neal’s Yard Remedies first overseas beauty spa providing only their world leading, 100% vegetarian skin care products and signature treatments in an oasis of pampering and calm. To enhance and compliment our ethical, environmental and wellbeing approach to life, we also host a series of health, fitness and wellness breaks and courses run by leading coaches in their individual fields. Set amidst colourful Mediterranean gardens over the natural dramatic Algarvian cliffs, we are licensed to host weddings and civil ceremonies. A choice of top level facilities are available that cater to your every need and desire. It is possible to privately rent Vivenda Miranda for exclusive use for a weekend, consecutive weekdays or for longer periods. No matter what the occasion, this stunning venue can now be booked for your sole use. Spend memorable time with your loved one in our secluded, intimate paradise nestled on the cliffs above the pretty Porto de Mós beach. Make a gift to someone you care about, with our diversified gift vouchers. Order your personalised gift voucher and print them at home.